This morning will be spent in the heart of Beijing. We will first transfer you to Tiananmen Square. 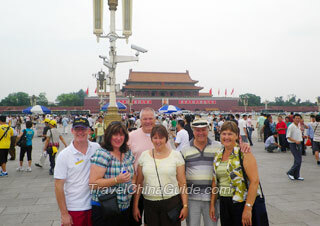 From there you could walk through the Golden Water Bridge directly to the Forbidden City. With the marvelous structural layout, exquisite decorations and valuable treasures, the imperial palace attracts travelers all over the world. Around noon, we will arrange a rich a la carte welcome lunch (valued at CNY150.00 per person and included in our price) for you at a decent local restaurant and we specially recommend the roasted Peking duck. Great Wall is one of the greatest architecture projects in human history. This morning, we will drive you to the Mutianyu section, where you will spend a couple of hours to enjoy the amazing scenery from the wall. 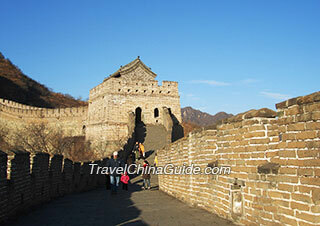 The roundtrip cable car is included during your Great Wall tour. As it is in the mountain area, the meals offered by restaurants nearby are not good. In this case, we suggest you have a hearty breakfast at the hotel this morning and then have some fast food for lunch at noon by yourself. When we drive you back to the city, we will stop at the Olympic National Stadium for you to take pictures of the big Bird's Nest at a close distance. At the end of the day trip, we will leave you some free time at a featured local market. After finishing the check-out process, you will be escorted to visit the Summer Palace, which used to be the summer resort for royal families and emperors to deal with the various issues and have fun here during the hottest days of the year. Then we will take you to the old Hutong area, where narrow alleys are lined with ancient style residential houses, to get a taste of the traditional features of the city and experience the Chinese paper cutting. Followed is an a la carte lunch (valued at CNY150.00 per person and included in our price) at a good local restaurant. 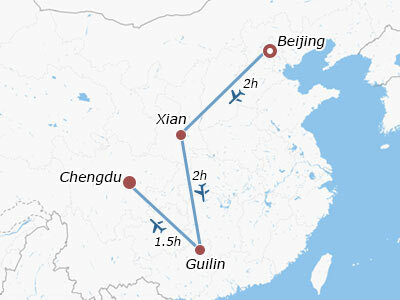 Then you will go on to the next destination Xi'an by taking an afternoon flight. The local guide will await you on time at the airport and then accompany you to check in the hotel. It is a full and interesting day. We will take you out of downtown to see the Terracotta Army, which is a huge project of three bury pits built by Emperor Qinshihuang, the first emperor who united the nation in ancient times. The life-sized terracotta army well represents his ambition even to be realized in the nether world. Then we move to a local family. The elaborately prepared a la carte dishes (valued at CNY120.00 per person and included in our price) coupled with the hosts' cordial hospitality will surely make your lunch unforgettable. 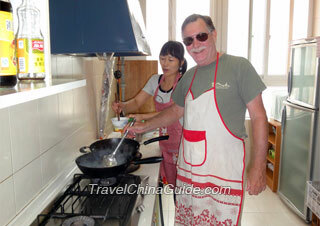 Especially, learning Chinese dishes cooking recipes with the host would be a unique experience for your escorted China tour. After the family visit, you will proceed to the Xi'an Museum and then visit the Small Wild Goose Pagoda, an ancient Buddhist stupa with unique structure and elegant appearance. Tonight an exceptional performance is waiting for your attendance. It is the Tang Dynasty Music and Dance Show displaying the prosperity of the culture in the Tang Dynasty. Before the show, you will have a Dumpling dinner. This morning, our guide will take you to see the locals doing morning exercises in the City Wall Park and arrange a Tai Chi Practice for you. And then you will climb up the ancient City Wall. 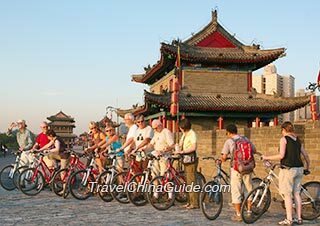 Compassing the old city with a circuit of 13,700 meters, the square city wall is as thicker as 14 meters, so visitors could rent a bicycle and take a ride on the wall. The bike rental fee is at your expense. You will have a gratifying a la carte lunch (valued at CNY120.00 per person and included in our price) at a fine local eatery. After that, our guide will lead you to the treasure house of northwest China, the Provincial History Museum, which collects a large number of rare historical relics illustrating the achievements of different eras. A visit to the Great Mosque is scheduled for you later. You can have some free time strolling along the nearby bustling Muslim street. After that, you will be transferred to visit the Reed Flute Cave. Reputed as the 'Natural Art Palace', the Reed Flute Cave is mainly made up of stalactites, stalagmites, and stone pillars, which were naturally formed in different shapes and poses. Shined in different colors of lights, the cave is like a fairyland. Then turn to the Elephant Trunk Hill. You don't need to climb up the hill. It is just like a scenic park, but deserves a visit. Here we would like to remind you the lunch on the cruise is a simple box lunch, but we have no other choice since it is provided by the cruise company. We suggest you have a big breakfast at the hotel this morning. When you arrive at Yangshuo and walk through the West Street, we will drive you to the countryside area to see rural sceneries, along with a local peasant's home. Late in the afternoon, it is time for us to get back to Guilin. Then we head to the Broad and Narrow Alleys. Just take your time to stroll in the leisurely alleys. It is a very popular place not only for travelers also for locals. You can have lunch at one of the restaurants by yourself. Our guide will also give you more advice. Next, we visit Jinsha Site Museum, which can trace back to about 3,000 years ago. There are many gold articles unearthed in the site, but the most highlight ones are the Gold Foil of Sun and Immortal Bird and the Gold Mask. After the history and culture appreciation, it's time for you to get relaxed at Renmin Park. You will know local's laid-back lifestyle when you sip in a tea house, see people gathering together playing Mahjong, dancing and singing. The most interesting is to see the matchmaking corner where parents advertise for their children. Our group tour comes to the end today. The hotel check out deadline is 12:00 at noon. 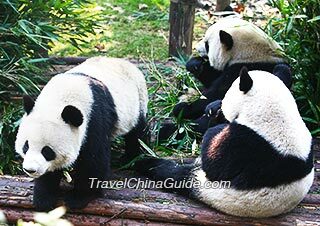 Since clients will have different flight schedules to leave Chengdu, we do not include the airport see-off service today. You can charter a taxi to the airport at about CNY100.00 per cab. We wish you a smooth and pleasant journey! We enjoyed our China tour very much: it was well planned and packed! We liked the fact that it was a small group also. During the whole tour, time distributed was adequate. We loved all the meals especially the Peking Duck on our second day and the home cooked lunch in Xian. All in all, the food was excellent. We think all the guides worked very hard to follow the tour program, spoke very good English and knew what they were talking about. We think all the drivers also worked hard. We want to extend special thanks to all of our guides: they were very responsive to our needs. We want to especially thank William for searching for the Chinese medicine for my husband's foot in Guilin as it helped us to resume our tours without missing many of the activities. We also appreciate Juliet, Echo and Lucy for making our trip enjoyable and informative. All the guides did an excellent job of selecting the proper dishes for our meals and solicited our input for some tour choices when we did not have sufficient time to cover all sites. 1. 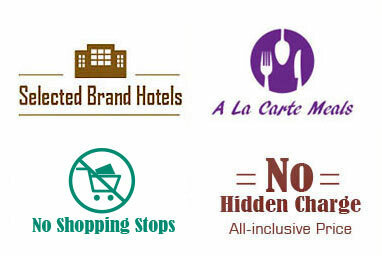 Have a little more free time in-between the tours; for shopping and/or using the hotel facilities. Upon landing, take metro line 10 from airport to Taipingyuan. Then change to metro line 3 to Chunxi Road and line 2 to Dongmen Daqiao, Exit C. After arriving, walk southeast around 250 meters to find your hotel. Air China has flight from Islamabad - Beijing -Sydney.. but the stay at Beijing airport is 16 hours, am i eligible for the transfer? Or do i need a ViSA? Well, as I know, you need to apply for a visa in advance. But i dont want to enter the city, i just want to wait for my next flight in transfer lounge, do i still need a visa? Yes, you are not eligible for 24h visa-free transit, so a visa is needed. Hi. 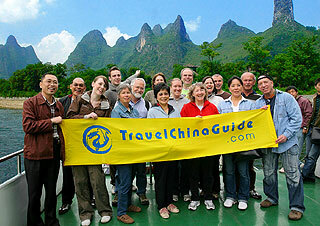 I wish to take a bamboo raft at Li River and then go for a sight seeing at West Street in Yangshuo. How do I go to these 2 places from Guilin. Appreciate if you can give me the taxi fare for these trip. Million of thanks. You may take a taxi from Guilin to Yangdi Dock with the fare of CNY100. There you can experience the round trip bamboo raft. After that, take a direct bus to Yangshuo North Bus Station, out of which you can take a taxi to West Street and it costs CNY5 only. i am planning to go to Beijing Zoo after Forbidden City (I will be leaving from Gate of Divine Prowess in the north of the museum). which mode of transportation is the best? Walk northwest around 250 yards to get to Forbidden City Bus Stop. Take bus no.103 to the Zoo Transportation Hub. After arriving, walk north around 200 meters to find the zoo. Do I need to book my flights before I apply for my visas? As far as I know, usually the china embassy staff require applicant to show the international flight booking when one apply for the visa. But it depends sometime. You should contact your local China embassy for more details.